Hello, hello, hello! 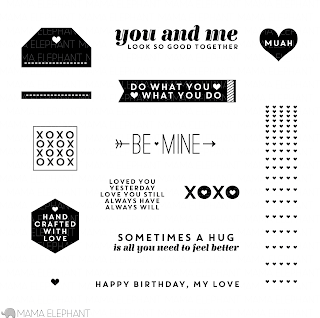 It's the last day of the Mama Elephant December release highlights and today I'm highlighting the set, XOXO! Every release seems to include at least one signature sentiment set, and this is a great one! 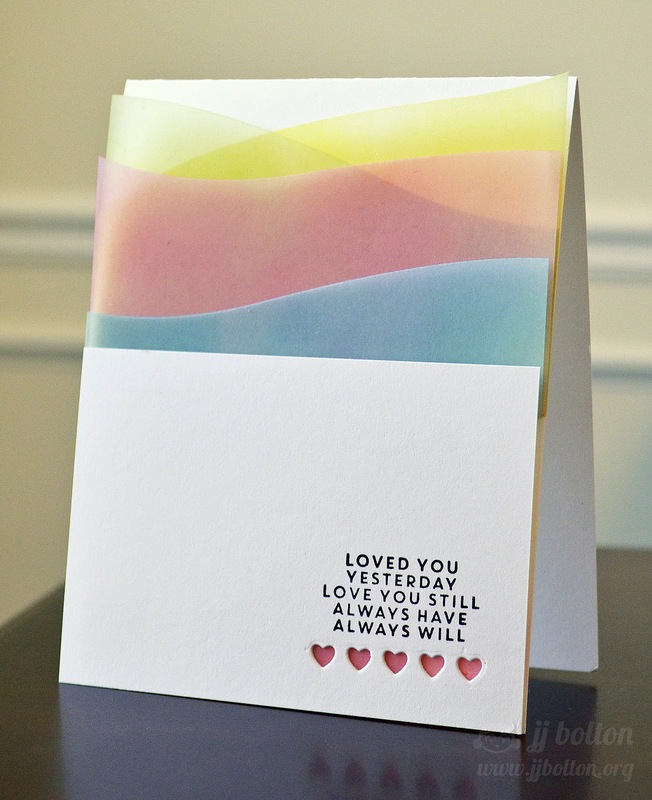 I wanted to create a love card that wasn't too feminine, so I went clean and simple. I pulled out the new Landscape Trio dies to create colorful graphic waves of vellum. 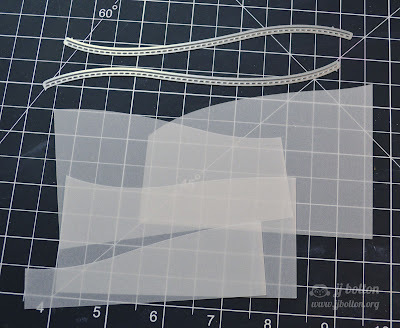 Here's a little about how I cut the vellum waves. If you look closely at the 2 dies, you see that they have a stitched line detail. 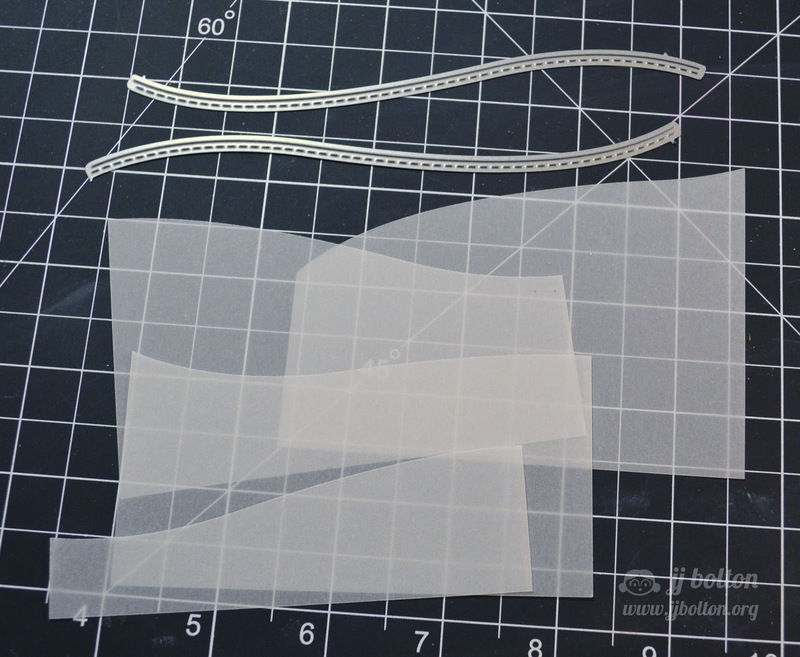 The stitched line is only on one side of the cut, so these dies actually do double duty! 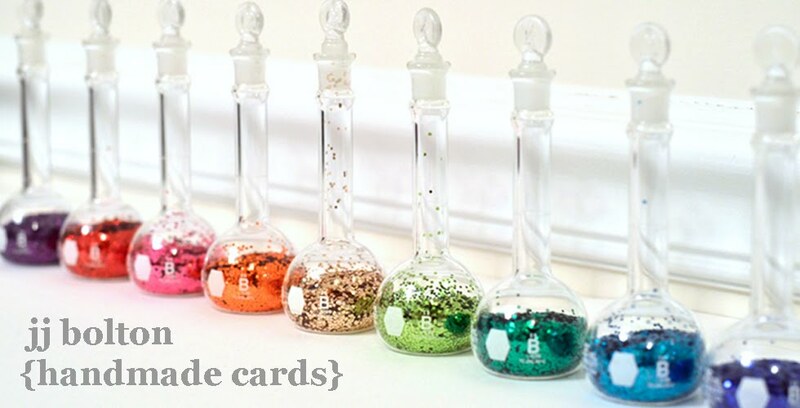 For my card, I used the smooth side to create 4 different wave panels from vellum. After they were cut, I blended ink over each panel (warning these take a while to dry) and the stacked them. I attached them to the card front only at the bottom, so the vellum pieces wave a bit. At the bottom of the card, I stamped the sentiment onto a panel and I added one more small vellum detail with the reverse cut hearts (from the Embellished Tag die set). I really love how it turned out! Thanks for stopping by this week! This is the last stamp highlight for this release and I hope you've enjoyed what we've done! Now go check out the other Mama Elephant DT gals to see what fabulous things they've done with this fun set. This is so pretty! Love the colored vellum layers! I adore this card. It totally make me think of the northern lights when I look at it. I'm so glad you told us about the two sides to the dies! I was so excited to get them but it's nice to know just how useful they really are! JJ, love the soft colors on the vellum. Great layering.